Download free, from 200 Words a Day! This 200 Words a Day! French Pronunciation Guide, produced for us by Dorothée Huleux, is a quick and easy-to-understand introduction to help you understand the quirks of French Pronunciation. Hear Dorothée pronounce the French alphabet and analyse the sounds of the vowels and consonants clearly and concisely, giving several examples of many different French sounds. It is an ideal starting point for anyone learning the French language. its position within a word. the various combinations with other letters. whether it has an accent. hearing a native speaker pronouncing French sounds. practising French sounds out loud with Dorothée. repeating sounds as often as you wish, just click on the buttons. 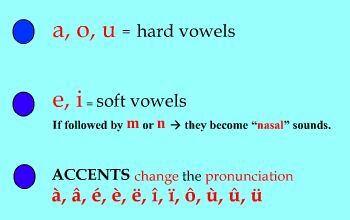 The French word lu (past participle of to read) and the letters ou as in loup (wolf). The French u sound is similiar to the sound in the English word tool. Get your download now - Free! Just fill in this form. Fill in the form to receive an email containing the free download link. There is absolutely no obligation to purchase any product. This free French Pronounciation Guide is a software program to install onto your PC. It's presented in the user-friendly and interactive software format used for the 200 Words a Day! accelerated language learning programmes. For Apple Macs you will a need previously-installed PC Emulator software (e.g. VMWARE). 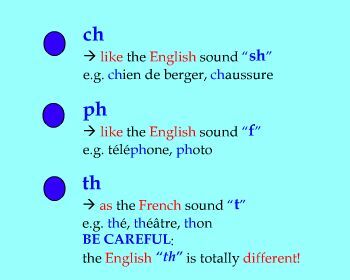 We trust you will enjoy your free guide to French pronunciation. Free French Lessons from 200 Words a Day! Transcity Properties Ltd, 32 Alverton, Great Linford, Milton Keynes, MK14 5EF, U.K. Accelerated French language learning. Available USA, Canada, Australia, Asia, Europe.